Home » Transformers Masterpiece » Masterpiece Prowl and Sunstorm Coming to the UK Toys R Us Stores? 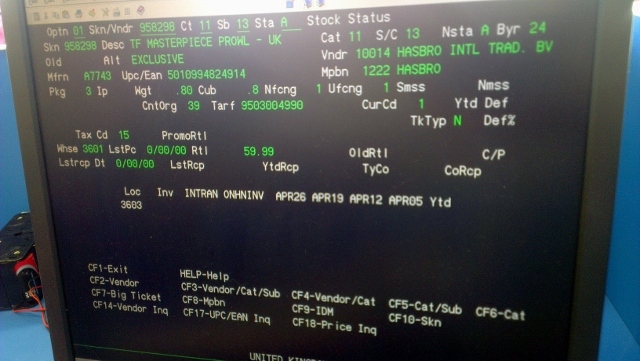 Masterpiece Prowl and Sunstorm Coming to the UK Toys R Us Stores? 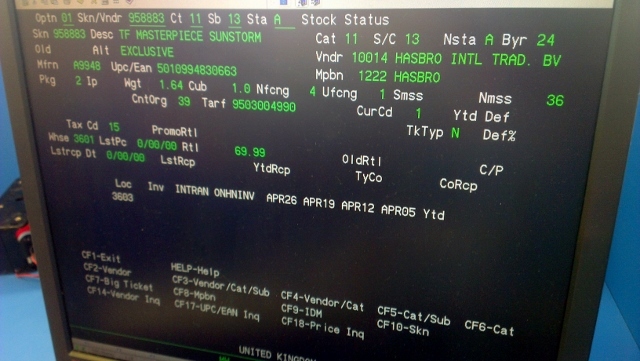 Here is some good news for UK fans looking to expand their Masterpiece Transformers collections – via 2005 boards member robotmel, we have learned that UK Toys R Us stores have the upcoming Hasbro versions of Masterpiece Prowl and Sunstorm in their computer systems. Prowl is priced at £59.99 with a reference of 958298 and Sunstorm at £69.99 with a reference of 958883. The prices in turn might be a clue at the approximate retail price of these two Masterpieces when they also arrive in the US later this year. i'm starting to think someone at TRU saw BBTS charging $80 and decided that was evidence enough for them to set the price at $60. Even at $40, i'm wondering how many they would move. They need to realize that they most likely include import costs in the BBTS price. I'll get Sunstorm. Hopefully he will show up as opposed to Thundercracker, who I never saw. Thanks for the reply. That's interesting and good to know. You only got Prowl for half of £60 if you got an early discounted pre-order and DIDN'T get stung for customs (mine came in at £35 from HLJ). £40-60 was an entirely common final price to wind up paying all-in. Anyone notice if USA TRU will get Sunstorm? bummer.. i can't see collecting G1 masterpiece figures and just getting one of the datsuns.. just seems weird. 60 Quid for MP Prowl? But isnt the Takara version cheaper? Considering the mp seekers are weaponizer sized, and the cars are voyager sized, this puts them both at twice the expected retail price for their sizes, which doesn't seem too bad for masterpieces… These will of course go into the inevitable bogof or bogohp sales TRU regularly hold, where they will become worth the money. I'd even say that at £70 Masterpiece Sunstorm seems surprisingly cheap compared to £100 Acid Storm! I really thought Prowl would be £50 though! There had better be some sort of incentive to get Hasbro Prowl over an import! Even a slightly different paint job would be something! Every single Autobot car has been overpriced for what you get. They feel so damn cheap and the QC is piss poor. At $20-30 they would be worth it. Nothing more. 60 quid for Prowl is hilarious. I can deal with sunstorm for 70, thats been set already for other seekers but 60 fir Prowl? Glad I imported mine for half that. And there you go America, change the £ for $ and you have the US price. Happy you waited for Hasbro? £69.99 for Prowl is obscene. I paid about £50 to import the Takara version and the figure is already overpriced at that amount to be honest. It's a great toy, but I can't think of any criteria by which seventy quid is a reasonable asking price. And New Zealand will never get Masterpiece ever again, after MP-01. Oh well, I just import the TakaraTomy ones, anyway. Cheaper and better. Seriously, screw those UK prices. I'd still like another shot at an affordable MP-10, though. And MP-11. Those Hasbro Asia reissues are a rip-off. After getting all three, I have to agree. Prowl was nice by himself, but with Bluestreak and Smokescreen alongside him, it's perfection. I already got my Takara Datsun and have no interest in another seeker repaint. It's really too bad they didn't decide to bring over Sideswipe – I would have been all over him. Supporting a product that is overpriced in the hopes that they carry more clearly overpriced products probably isn't really the best thing for collectors in the long run. If you are willing to pay any price for any thing, there is no incentive to make great products or price them fairly. If he's cheaper and comes out much earlier from overseas, you owe nothing to Hasbro or TRU to buy their attempt at being collector friendly. Especially since we don't really have any assurance he won't be lacking paint apps or have strange tattoos or Hasbro in-jokes added to his colors. That price is ridiculous for Prowl. Most of the people that want him would have imported it already or will import it once they find out that it is cheaper to import the thing. Good news for UK fans. No effing way am I going to pay $60 (or more to an ebayer) for a US version of MP Prowl. $35 to $40 is a much more realistic expectation and even that is high when compared to other Transformers of the same size and complexity. really?.. holding masterpiece prowl in one hand.. and say, human alliance jazz in the other.. to me, prowl feels like a $60 figure and jazz feels like a $30 figure.. so, as long as the US version is $60 or cheaper.. i think it'd be about right. $40-$50 would probably be a more appealing price.. but whether it's $40 or $60 they're going to sell out quickly.. that's assuming hasbro isn't too late. seems pretty stupid for them to have waited this long.. takara is stealing sales from them like crazy.. for those people who usually wait for the hasbro release, i think it'd be in hasbro's best interest to at least announce their future releases. i'll probably pick up another prowl once the collectors in my area who don't have it are able to get it. 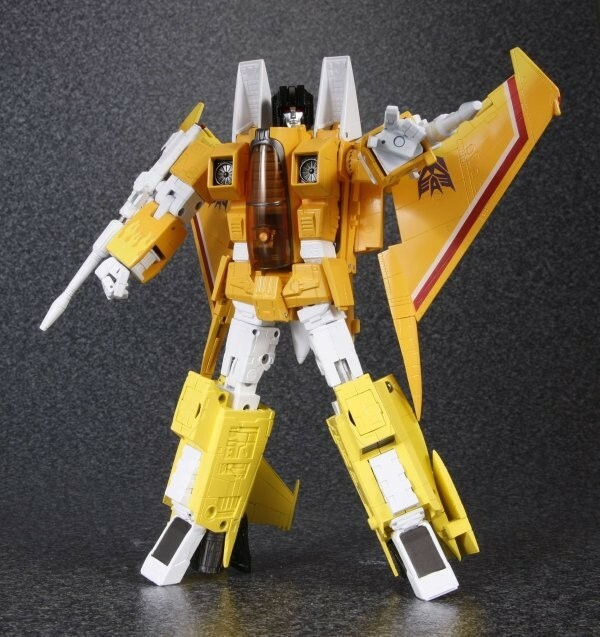 and i'm SUPER incredibly excited for sunstorm.. he's definitely one of those figures where i'll pass on the takara version and pick up the cheaper hasbro version if they make one. my seeker army keeps growing.. i REALLY REALLY think takara is missing out when it comes to the coneheads. i mean, i don't think it'd cost them too much to retool the starscream mold to give us the coneheads and it would definitely beef up the decepticons a bit more.. especially with wheeljack, bumblebee, and magnus coming, the decepticons are in dyer need of troops. i mean, there are two versions of each of the seekers, but not a single official* conehead. All times are GMT -4. The time now is 3:55 PM.